Within a few hours receive your UPC & EAN Barcodes in three different formats (EPS, JPEG, PDF) a Certificate & a copy of your Invoice. Click Below To Order. 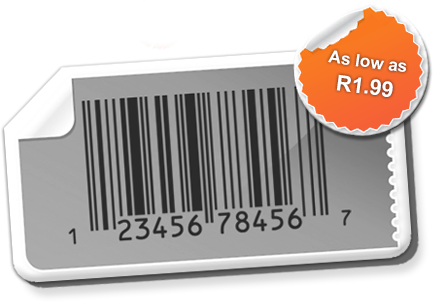 Barcodes South Africa is a reliable provider of high quality barcodes for stores in South Africa and worldwide. We have worked very hard for several years to develop our company and have grown to become a recognized supplier of Barcodes for retail stores in South Africa. We make the process of getting GS1 EAN barcodes for your products quick, easy and economical and we offer a friendly and efficient service to our customers. All our barcodes are registered in advance, which means that when you make a purchase, you can immediately use your barcodes. Our barcodes are valid throughout South Africa and they can also be used in any country in the world. We deliver your barcodes via email within a few hours after having made the purchase. Like other companies, our barcodes also do not begin with the 600 prefix for South Africa and it is not necessary at all. Please CLICK HERE to understand why you should buy from us and save thousands of rands. Our codes are suitable for use all over the world. No renewal fees! With each purchase you will receive three high resolution images for each of your barcodes. You can send these images immediately to your graphic designer or printer, who can print the barcodes on stickers, labels or on your package. They have the best presentation on the internet. That's why I contacted them. The delivery of the barcodes has been in approximately 2 hours. The experience has been very good, the order came to me in less than two hours to my satisfaction. It was my first time, and the process of buying bar codes was very easy. I placed the order via Internet and it arrived quickly. The truth is that the process was very quick and easy. Very conforming with the purchase. "It was my first time, and the process of buying barcodes was very easy and the service was good and quick. I placed the order via Internet and it arrived quickly. 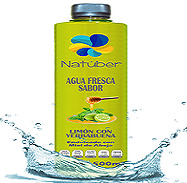 This company answered all my questions"
It was my first purchase, the information of the company was very satisfactory.